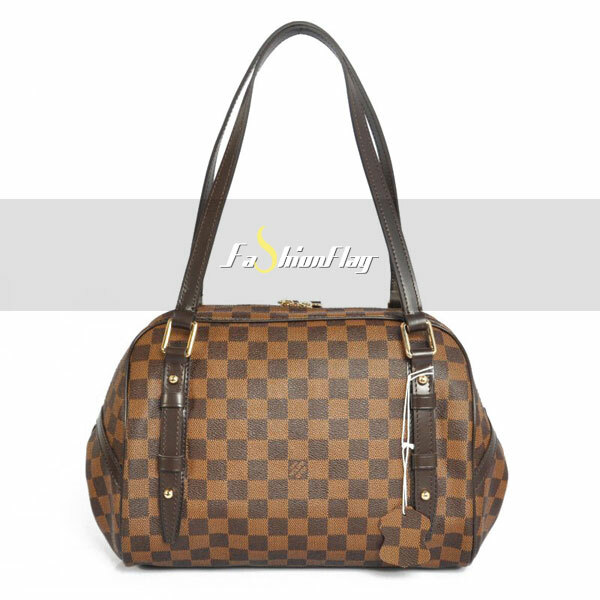 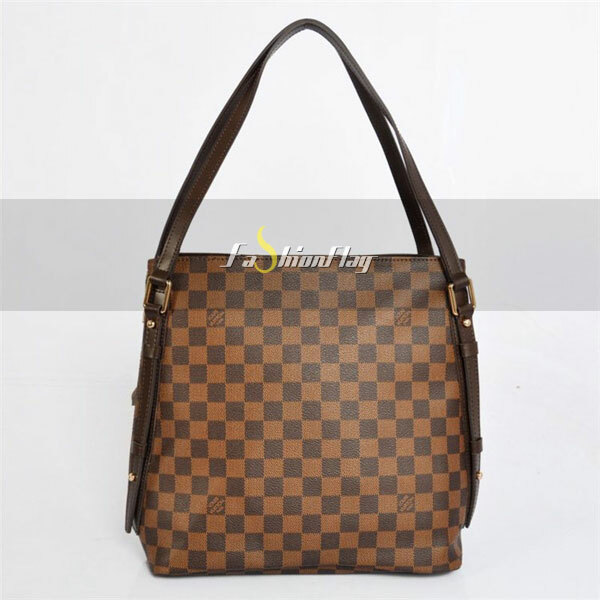 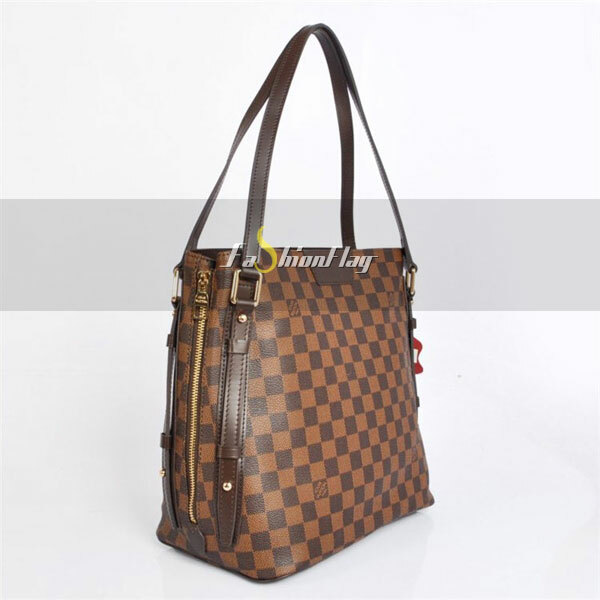 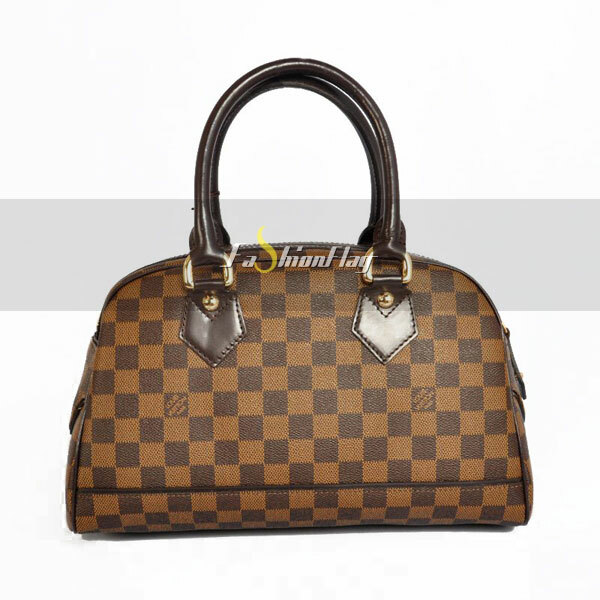 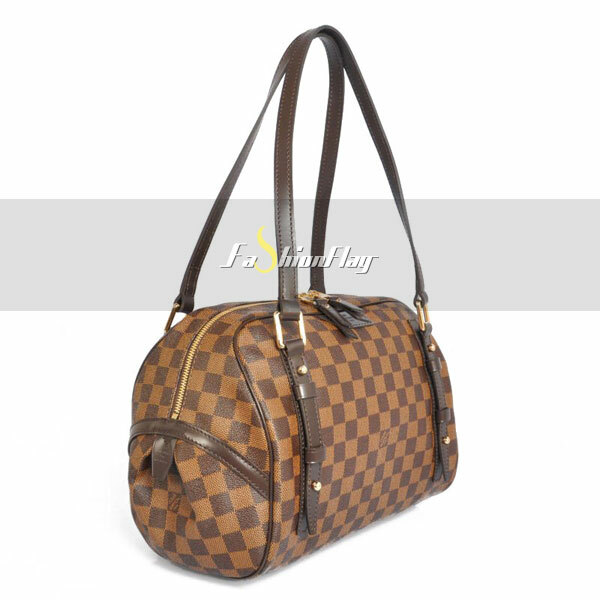 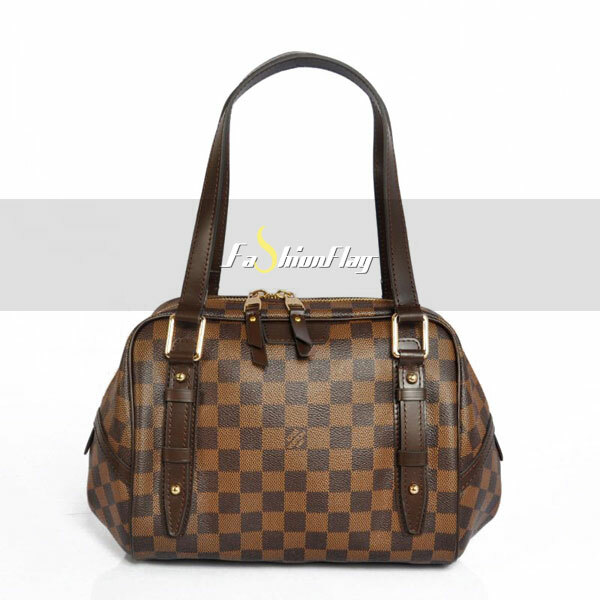 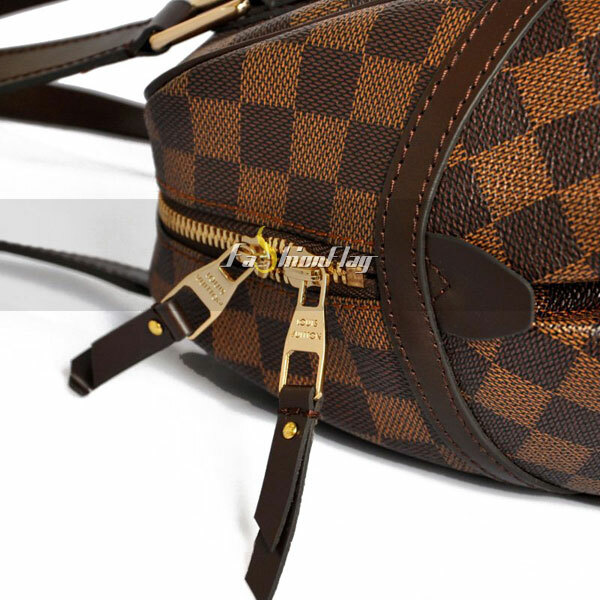 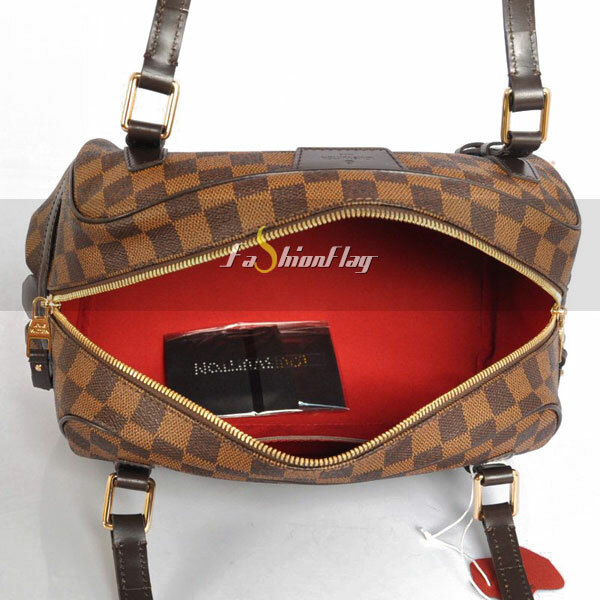 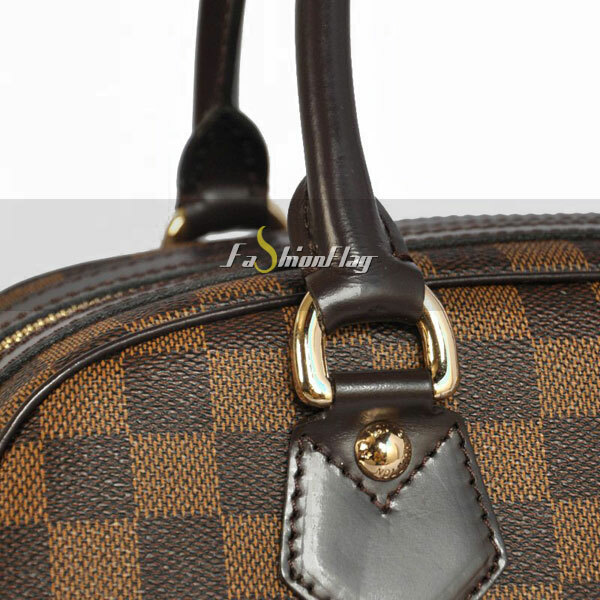 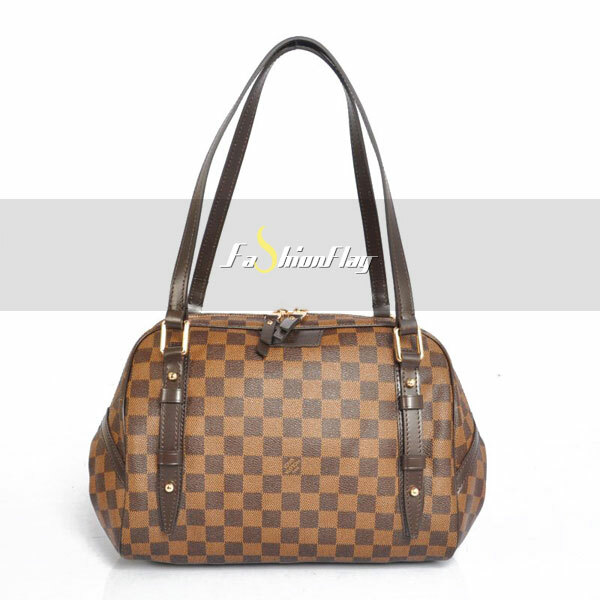 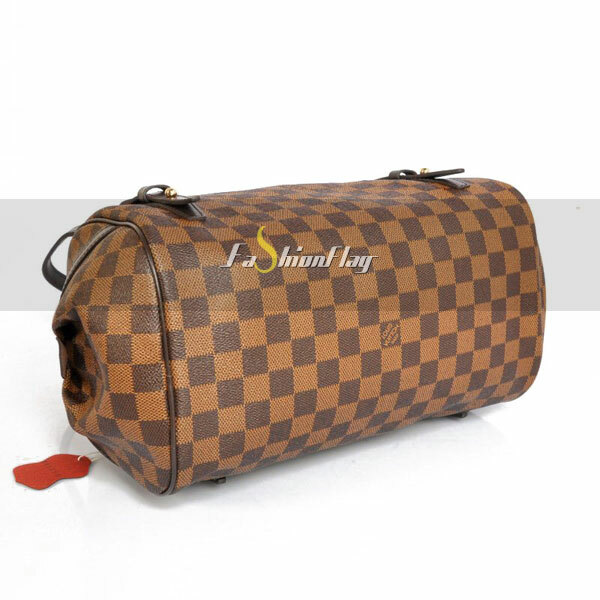 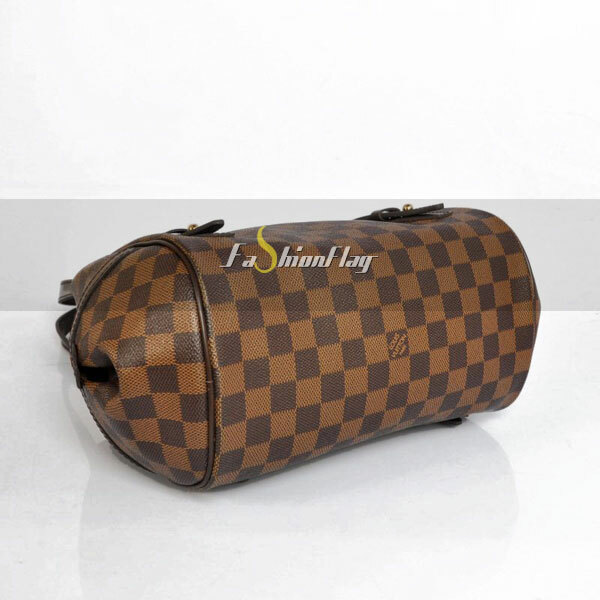 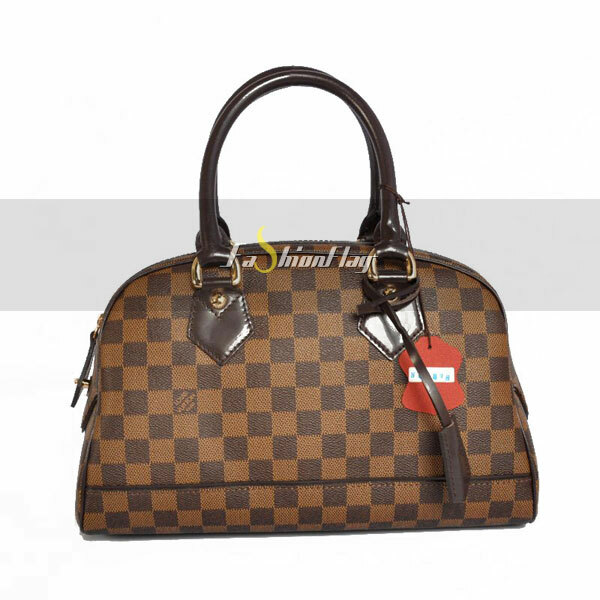 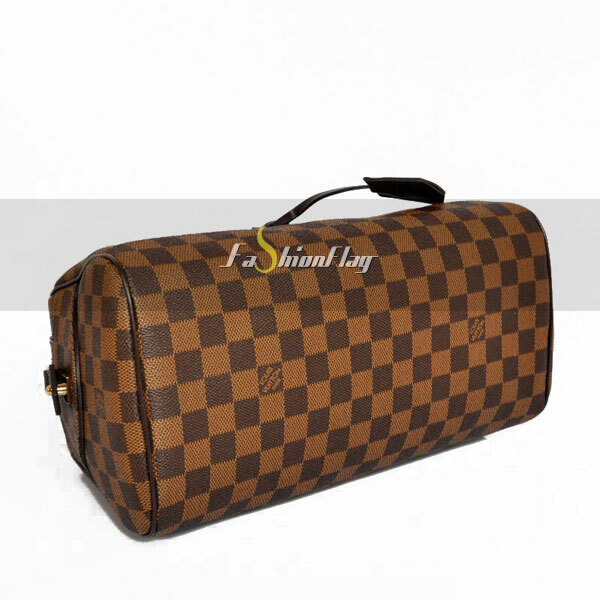 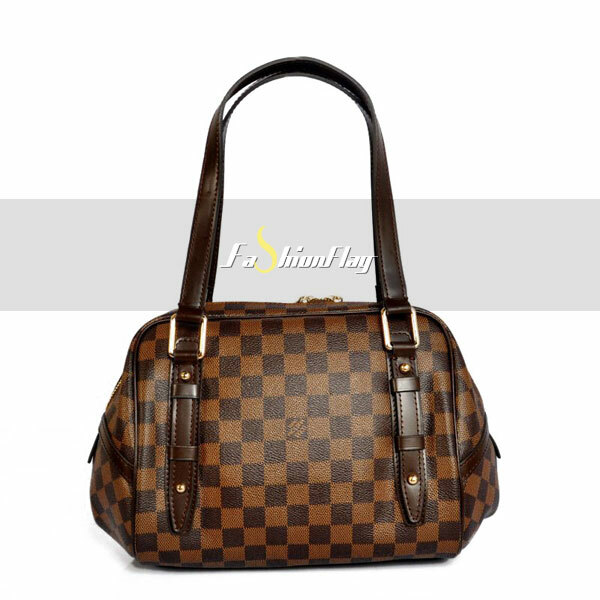 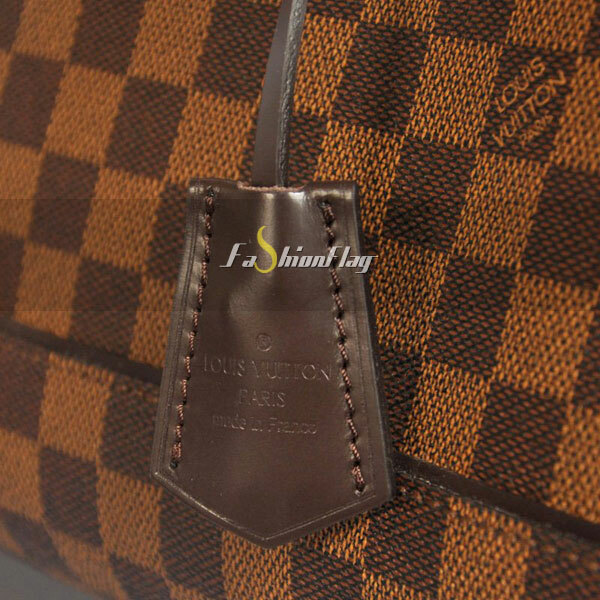 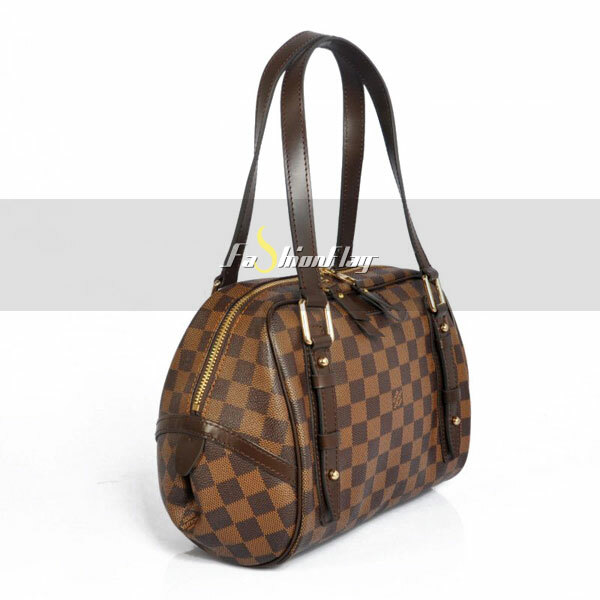 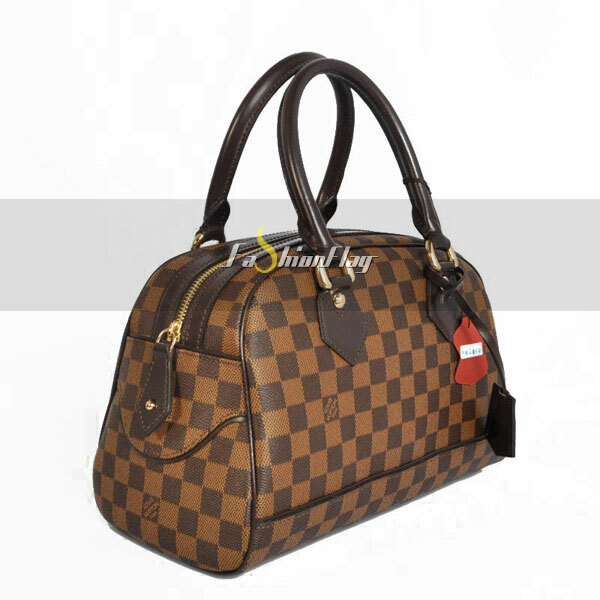 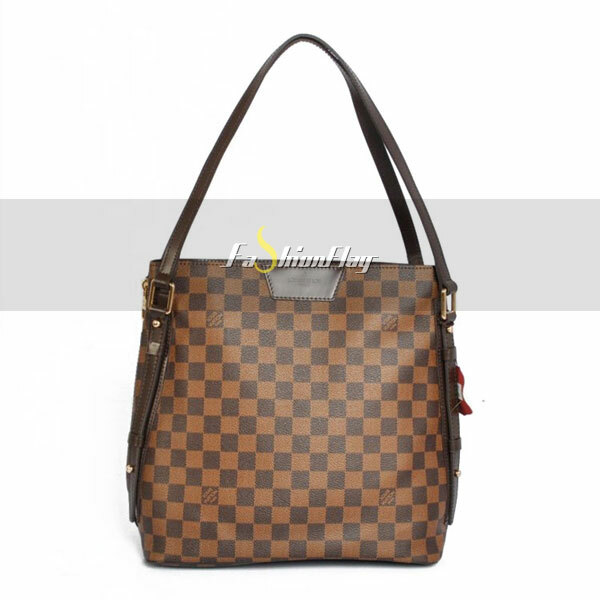 A chic hand-carried bag, Louis Vuitton’s Duomo is an extremely elegant bag for day. 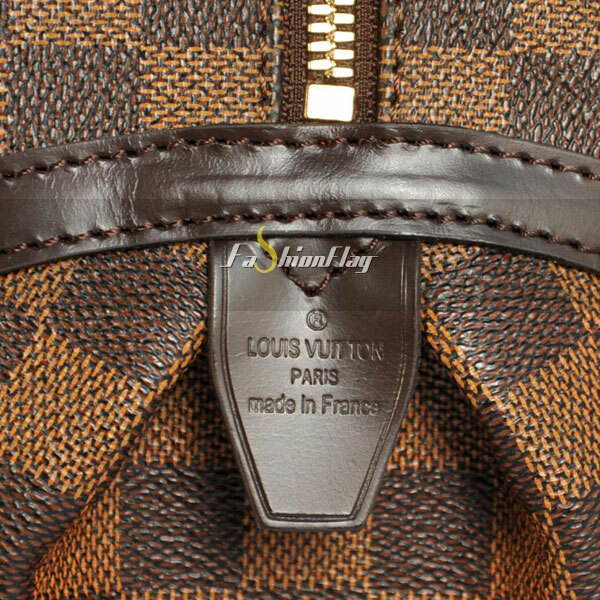 New rounded D-ring hardware softens the geometrical pattern of Damier while red microfiber lining adds a modern touch. 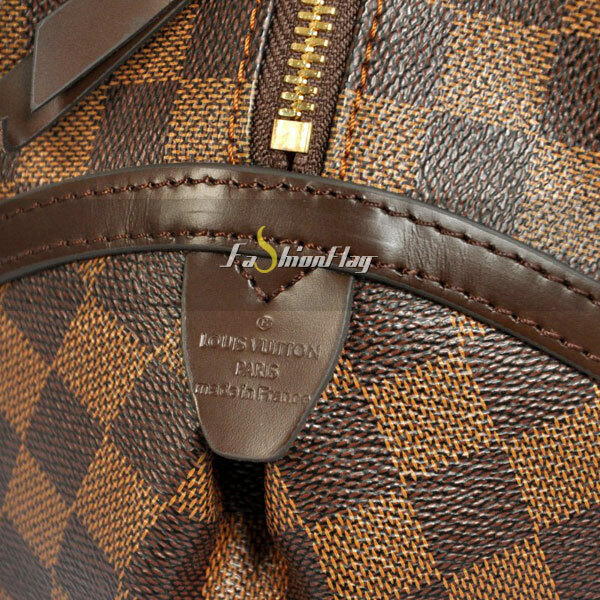 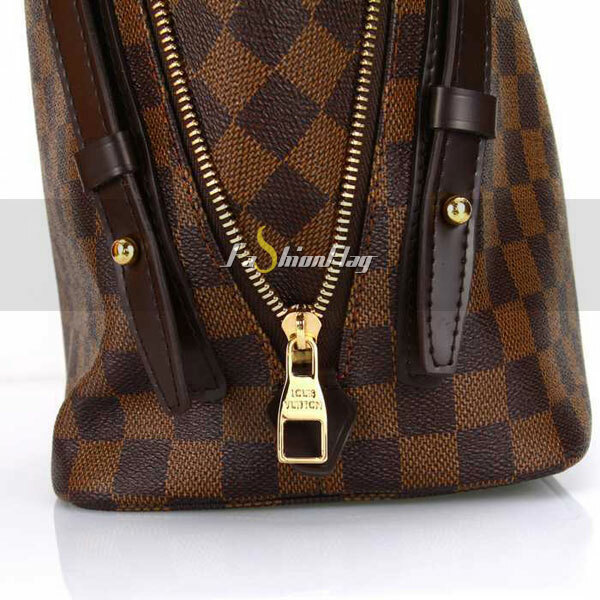 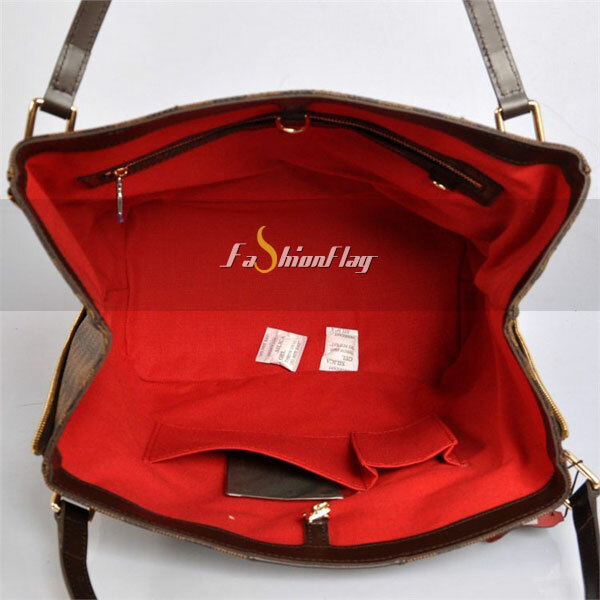 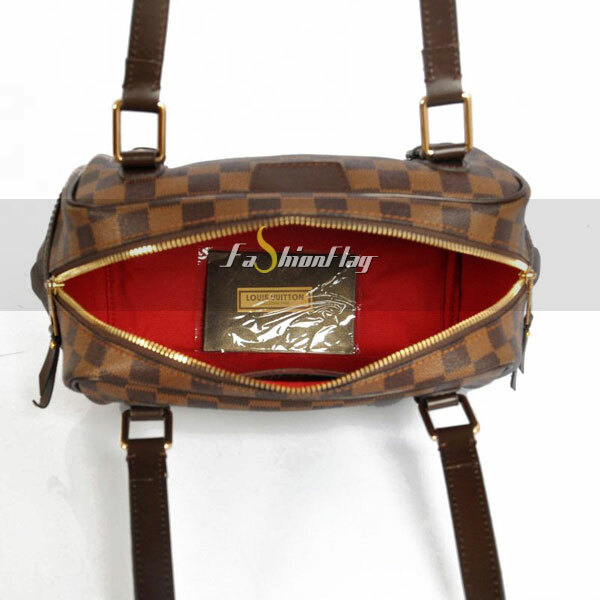 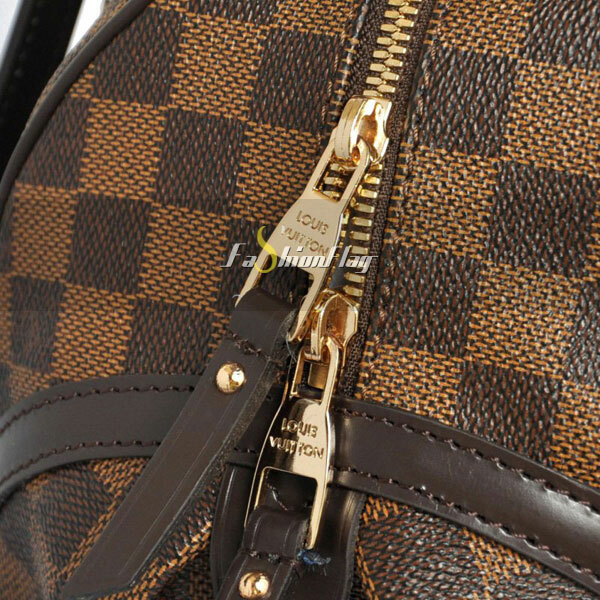 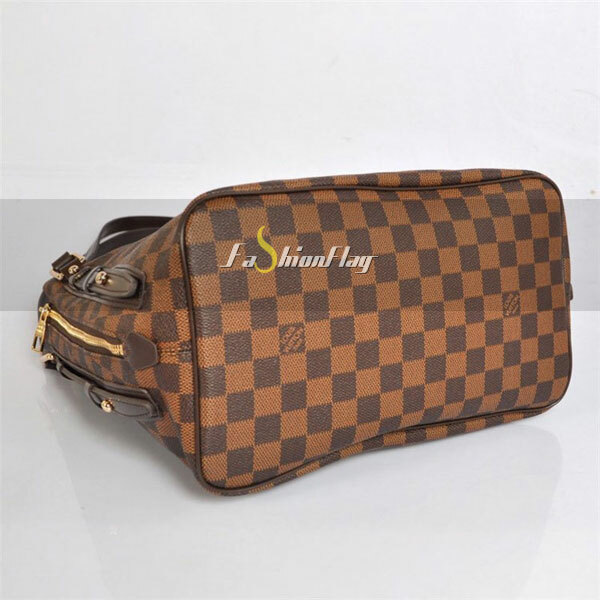 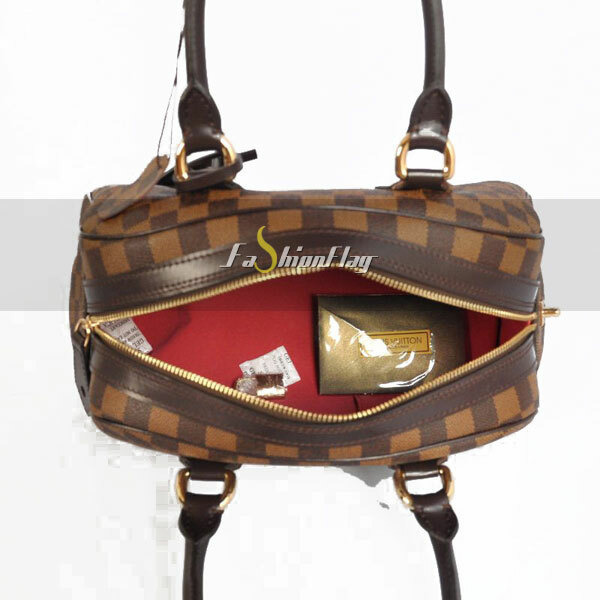 With smooth brown leather trim and a golden padlock complete with tiny keys tucked inside a leather clochette.